The Federal Drug Administration (FDA) released a Consumer Update on February 16, 2012 warning consumers of multiple issues with the Arm and Hammer Spinbrush (called the Crest Spinbrush before 2009). All nine models of the Spinbrush are being recalled, including the Spinbrush for Kids and the replacement heads themselves. The Spinbrush has a removable head which has been known to detach unexpectedly exposing the metal piece to which it is connected. The metal piece has jabbed brushers in the cheek, lips, and even eyes causing multiple injuries. In other cases, the toothbrush head popped off in the mouth, chipping teeth, which, if swallowed constitute a choking hazard. Although the Spinbrush for Kids does not have a removable head, problems have been reported with this model as well. Reportedly, bristles may become loose and detach posing a choking hazard to children. Other reports include cut lips and burns from overheating batteries. Unfortunately, the Spinbrush has a dogged history. Proctor and Gamble initiated a recall for its Crest Spinbrush in November 2004, admitting that the removable head had detached in a small number of brushes. At that time, there were 7.5 million Spinbrushes were in distribution nationwide. Since then, the number has risen to over 22 million distributed internationally, as cited in the latest recall of the Spinbrush. 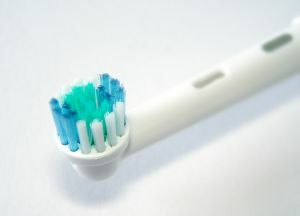 In May 2011, the FDA issued a warning letter to Church and Dwight Co. Inc., which manufactures the Spinbrush, admonishing the company for repeatedly failing to file Medical Device Reports within 30 days of being notified about serious mouth injuries and chipped teeth caused by the Spinbrush. Moreover, once the company submitted the late Medical Device Report, it failed to designate the injuries as serious, although chipped teeth, cuts to the mouth and eye, and reports of choking are deemed serious by the FDA’s, and most people’s, standards. The next recall followed on January 25, 2012 for the same reasons. The FDA’s latest Consumer Update is yet another sign that the problems with the Spinbrush have not been addressed. Church and Dwight Co. Inc. has recently taken actions to remedy the problem with the Spinbrush. It added a label to the packaging warning consumers to change the replacement head every three months to avoid wear that could lead to the head malfunctioning. It also added colored bristles that fade to signal that the replacement head should be changed. Finally, it issued safety notices on television and in print. California law places strict liability of companies doing business in the state. Manufacturers and distributors that send out defective products are generally liable for harm caused by their products. There are also more specific causes of actions, which may apply to the Spinbrush, including, but not limited to, design defect and consumer expectations and negligence to recall/retrofit. That the product was used or misused in a way that was reasonably foreseeable to defendant. That a reasonable manufacturer/distributor/seller under the same or similar circumstances would have recalled or retrofitted the product. That defendant’s product and/or negligence were a substantial factor in causing plaintiff’s harm. If this situation looks familiar to you, you may want to consult an attorney to see whether you can recover medical expenses and pain and suffering for injuries sustained from a defective product. The Brod Law Firm specializes in personal injury, including products liability. We provide personalized legal services to our clients in the greater San Francisco and Sacramento areas. Please call us today for a free consultation.